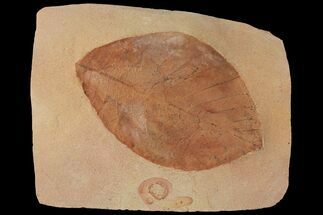 This is a large fossil leaf from the Green River Formation of Wyoming. 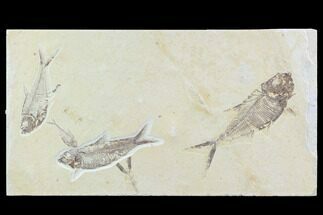 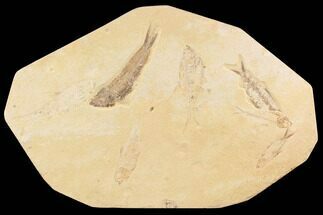 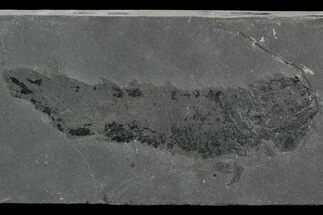 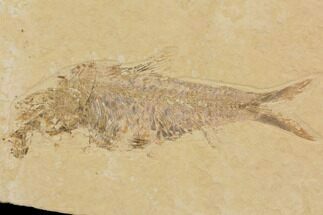 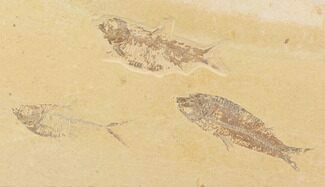 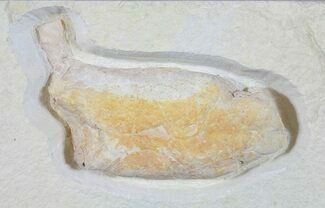 Plant fossils are fairly scarce at the commercial fish quarries where this specimen was collected. 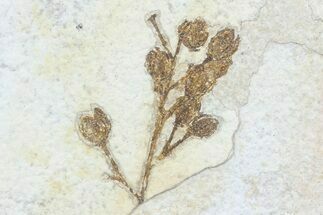 Both the positive and negative splits of the leaf fossil is included. 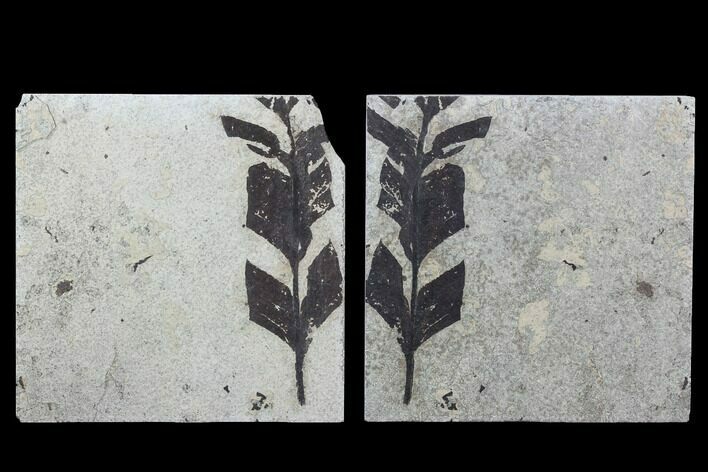 Leaf 7.6" long, Rock 8x8"